Even a minor fender bender can produce spinal misalignment and whiplash. It may take a day or two, however, or even weeks for symptoms to appear. The longer you wait to be evaluated and examined after a personal injury, the more hidden damage can accumulate. It can also take substantially longer to recover. This care is usually followed by targeted chiropractic treatment to reintroduce joint stability, increase range of motion and correct spinal misalignment. 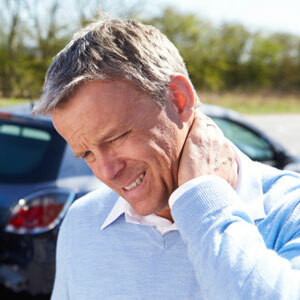 We know that you are hurting when you come in for neck or back treatment following an automobile collision. For this reason, we initially provide our patients with noninvasive, instrument-assisted adjustments to the neck area. This gentle cervical care involves no twisting or “cracking” of the spine, making it easy and relaxing to receive beneficial treatment. Our offices also provide citywide transportation from your home or place of employment to one of our friendly health and wellness centers. We know that sometimes you are temporarily left without transportation while dealing with the details of your accident, and it is our pleasure to be of assistance during this stressful time. The convenient and compassionate auto accident protocols at our practice promote healing and an end to suffering. Please contact us right away if you have been hurt. We can see you after work or during a convenient Saturday appointment.